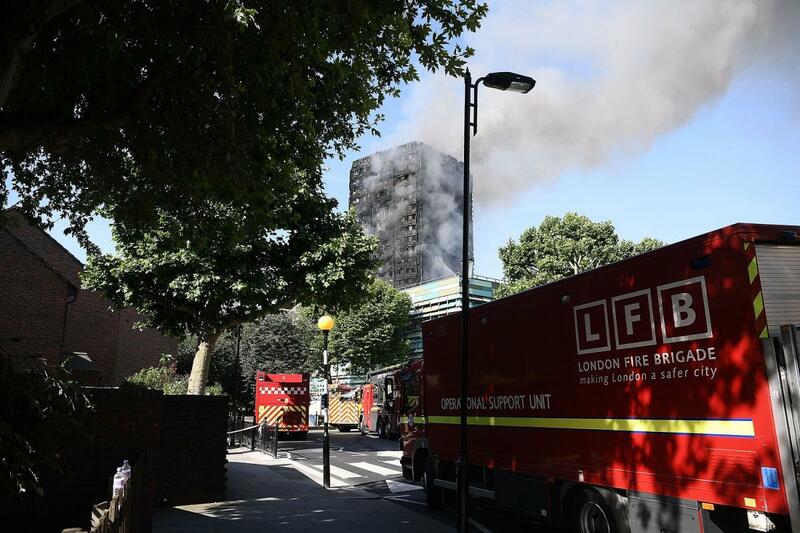 The “horrendous” spread of the fire up Grenfell Tower meant no one should have lived in that building, a Senior Fire Commander has said. Deputy Assistant Commissioner Andrew O’Loughlin said fire crews could never have predicted the way that flames engulfed the outside of the cladded block of flats. He said people who were in their flats had not yet been reached by smoke or fire should have been protected by staying where they were until escape routes were made safe. 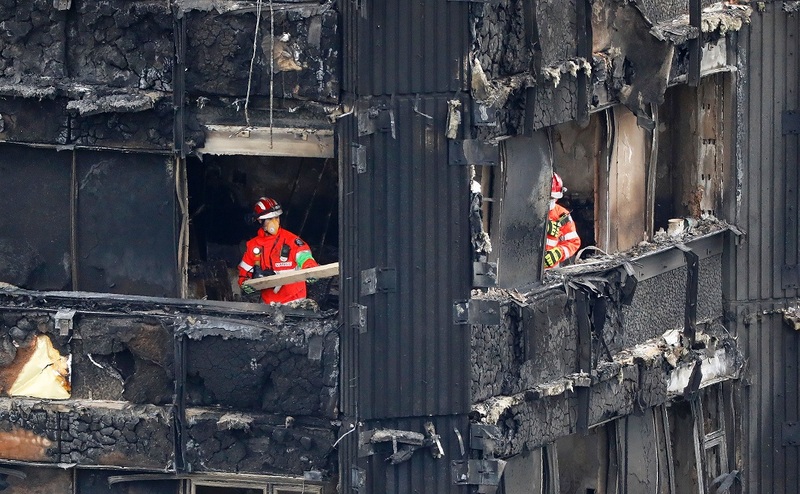 Mr O’Loughlin was in overall charge at the incident as the most senior London Fire Brigade officer present when the “stay-put” advice was changed. From around 2:47am, residents were encouraged to escape if they could, rather than await rescue. Asked whether he felt this should have happened sooner, the incident commander replied: "I think the 'stay-put' advice for the conditions we were dealing with... 'stay-put' should have stayed, people should have been safe in their flats. "You wouldn't expect fire to spread around the building like it did on the outside, and for it to fail so catastrophically, we'd never expected or anticipated that would do that in the way it did, and then similarly... we would not expect the internal protection to fail so badly as well. "So my expectation was people who were safe in their flats should stay safe in their flats." Counsel to the inquiry Richard Millett pressed: "On what you later discovered during the course of the night, do you accept that the revocation of the 'stay-put' advice should have happened at an earlier stage than it did?" He answered: "I don't think you could say that a decision could be taken earlier based on what I saw several hours later. "I mean, the building was so horrendous several hours later that I think no-one should have lived in the building, so to say we should have changed the 'stay-put' advice, I don't think would have been reasonable based on something that happened several hours later that none of us could ever have expected." Some 25 minutes passed before Mr O'Loughlin was informed of the change, the inquiry heard. He also received no updates from those in charge of the fire sector and the unit coordinating fire survival guidance (FSG) calls from trapped residents during this time. Mr O'Loughlin told the inquiry he was "confused" by the change in policy and did not think it would necessarily make a material difference to the rescue plan. He said that communicating this change to residents was "not easily done" as there was no mechanism for contacting every individual flat in the north Kensington high-rise. But he also said he didn't expect it to make much difference to people who were trapped inside their flats as they already could not leave. He explained: "'Stay-put' applies to people who are unaffected, FSG is for people who say they cannot leave their flats. "When the two were put together, I was unclear exactly what we were talking about at that point." He later clarified what he understood the new advice to mean: "The change to 'stay-put' is if people feel they can escape then they should try to, but I don't think it's trying to tell people they should go into a smoke-filled environment. It's saying if you feel you can escape then you should. "But I wasn't then sending firefighters or planning to send firefighters to unaffected flats over sending them to flats that were directly affected and in immediate danger." Some 71 people died in the June 14 fire, with a 72nd resident dying months later. The inquiry is currently in its first phase hearing evidence from firefighters at Holborn Bars, central London. On Thursday, LFB commissioner Dany Cotton is expected to give evidence.